When Ethiopia's Feyisa Lilesa raised his hands at the marathon finish line in Rio on Sunday, he wasn't just celebrating his silver medal in the grueling race. 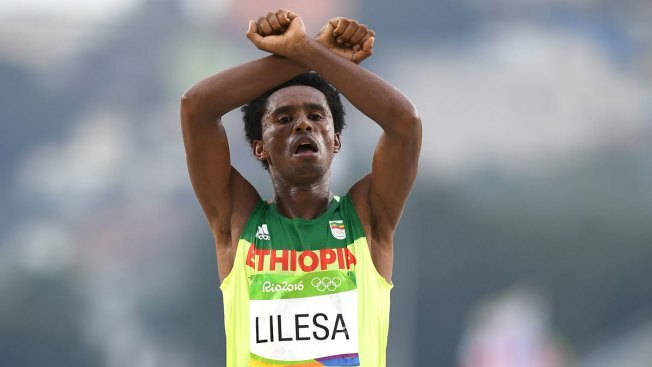 The long-distance runner crossed his wrists high above his head as a sign of protest against the killings and arrests that have been carried out by Ethiopia's government. The gesture, he said, could get him killed. "If I go back to Ethiopia maybe they will kill me. If I am not killed maybe they will put me in prison," Lilesa said, according to The Sydney Morning Herald. "[If] they [do] not put me in prison they will block me at airport." "I have got a decision," he added. "Maybe I move to another country." According to Human Rights Watch, the Ethiopian government has killed an estimated 400 people, and injured thousands more since November 2015 for participating in protests in the Oromo region. The demonstrators protested plans by the capital, Addis Ababa, to expand its territory into adjacent Oromia lands, which would displace farmers. The Oromo people are the country's largest ethnic group. The government's proposal has since been retracted, but the protesters have remained jailed. Earlier in August, hundreds took the streets to demanded the release of those detained during the Oromo protests earlier this year. In a statement, Amnesty International said at least 67 people were killed in the Oromia region alone when security forces fired on protesters, and that another at least 30 were shot and killed in the northern city of Bahir Dar in early August. The rights group cited "credible sources" and said hundreds of people were detained. An opposition politician, Mulatu Gemechu of the Oromo Federalist Congress party, told The Associated Press that more than 70 people were killed across Oromia. "Many others were injured, and we have lost count of the number of those who were arrested," he said. The Obama administration's top official promoting democracy and human rights, Tom Malinowski, said in a column published by AllAfrica.com that the Ethiopian government's tactics in response to protests are "self-defeating." He said "security forces have continued to use excessive force to prevent Ethiopians from congregating peacefully, killing and injuring many people and arresting thousands. We believe thousands of Ethiopians remain in detention for alleged involvement in the protests - in most cases without having been brought before a court, provided access to legal counsel, or formally charged with a crime." Lilesa told The Sydney Morning Herald that the government had removed people from their land and then jailed or killed them for protesting. A video posted to YouTube in June showed protesters making the same gesture as Lilesa did on Sunday before some of them were gunned down. He said he wanted to express support for his family members who were illegally jailed. "I was protesting for my people," Lilesa said. 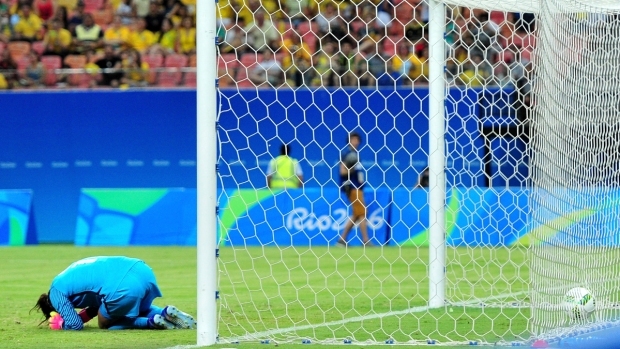 He repeated his protest again on the medal podium.